Tena Tena Camp has a grove of mahogany trees that shade the large custom-made tents. From the thatched dining room and bar guests can watch the elephants, hippo and antelope on the river banks. Near by there is a spectacular lagoon, Buca Buca, where a whole morning can be spent quietly sitting while the game comes down to feed and drink. Being remote and so small, we have these scenes to ourselves. The bathrooms are made from woven bamboo and join the tents under a large grass archway – Marsh-Arab style. Tena Tena has recently been redesigned and rebuilt. 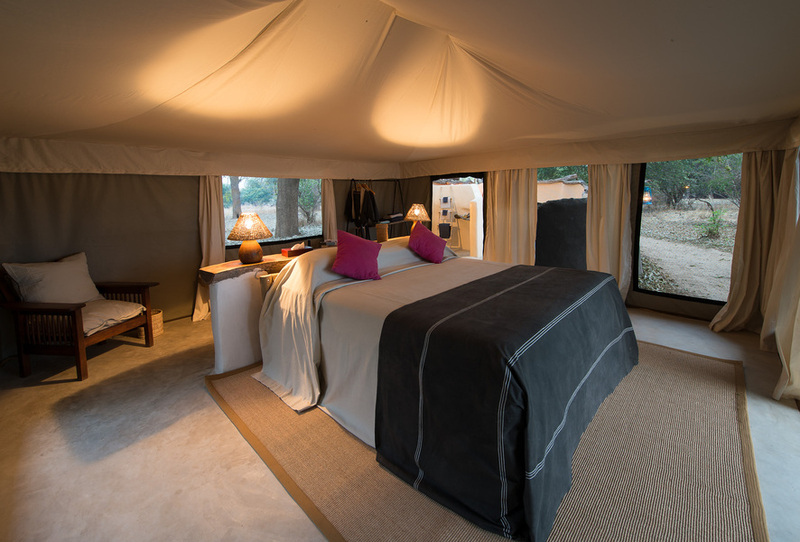 The maximum number of guests has been reduced from 12 to 8, the camp provides an even more personal and intimate safari for visiting guests. A spectacular Honeymoon Suite has been added. Tena Tena has a reputation for being a ‘temporary home’ in the the bush – and the atmosphere at this wonderful remote tented camp certainly contributes to this. The interiors are stylish and elegant, beautifully furnished in rich colours , and are reminiscent of Hemingway’s Africa . The Persian rugs, hand-dyed Indian cotton bed-spreads and Bedouin cushions create a homely and attractive environment. There are also heavy linen bathrobes in each en suite open-air bathroom, along with a complete array of quality toiletries. Run by Robin Pope Safaris, Tena Tena is in the remote Nsefu Sector, on the north side of South Luangwa National Park in an area rich with game. 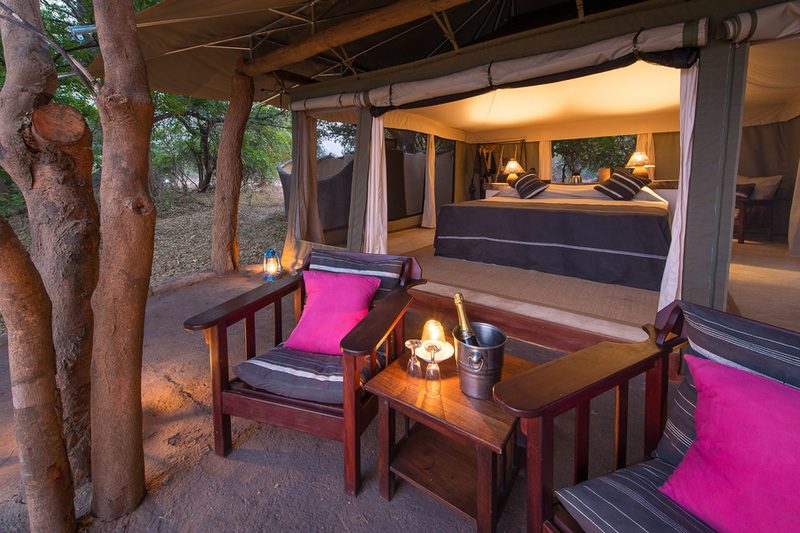 In August 2012 the camp was moved to a new location, due to the changing course of the river, and it’s now situated about a kilometre upstream from its previous site, still on the edge of the Luangwa River. It focuses on excellent guiding and flexible activities, with personal service and attention, all in very comfortable surroundings.